2014 - Lets make it the best year yet! Every January there's always a hype for bloggers to detail their plans of what they want to achieve in the year to follow. Although this has been done so many times I think that this year if I am to really stick to anything, jotting down on here would be the best way to set out on that path. So here's my list.. Since starting the new year it's been my goal to avidly read up on health and fitness and get on track to have the body I want by the end of the year, and to hopefully make a real bench mark in six months time when I go on my first girls holiday. Although last year I was quite a regular gym goer I don't think I was pushing myself enough, and was so bored of the usual cardio based routine and getting absolutely no-where with it. Since speaking to many PT's over Christmas basically all of they told me to get on a weight circuit routine combined with regular HIIT workouts, and above all eat clean! I know this is a favourite amongst a lot of New Years posts but I'm making it my goal to change and during the first 3 weeks of doing my routine I'm already seeing a difference so I'm definitely on the road to being a fitness fanatic! Throughout parts of 2012 and 2013 I've had some dips in my posting amounts, although I'd like to say I'm quite an active blogger and with my job being in the graphics and marketing industry it makes me even more passionate with these areas of my life, but there have still been times where life has got in the way and I've let this place go for a while. 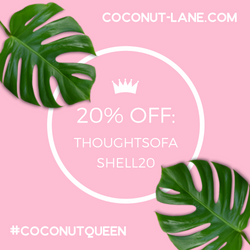 My second and third aim for my blog in 2014 was to get this place looking smarter which has now been done (I'd love to know what you think!) and to get to know other bloggers and get networking! Since finally moving to London and having my own place I thought it'd be a doddle to see all my friends as at least 70% of them also live in the capital, seems simple right? Again it's not so easy, but getting wrapped up in your own little bubble is. It's so simple to fall out of contact for months with people so in this new year I am going to make as many plans as possible for this not to happen and start building my life away from just myself and my boyfriend. 4) Make the world my oyster..
..and when I say oyster, I mean a little further than that tube pass will take me. Traveling is another favourite amongst bloggers this time of year and is one of mine also, but as I have a full time job and am building a career I've decided I don't really want to drop everything and just leave, so instead to get the best of both worlds I aim to choose a cluster of places each year I want to visit and use my holiday wisely to visit as many as I can, with this year already booked to experience Morroco, Rome and Bulgaria. Sure, I won't get that buzz of trekking around the planet on foot with a giant rucksack on my back, but deep down I've always preferred a hotel to a tent. Anyone who knows me knows I am not one to drink water.. ever, unless I'm at the gym. But now my fitness is on the up as is my protein in-take I need to get more fluid, plus on top the fact its healthier to drink more than nothing! 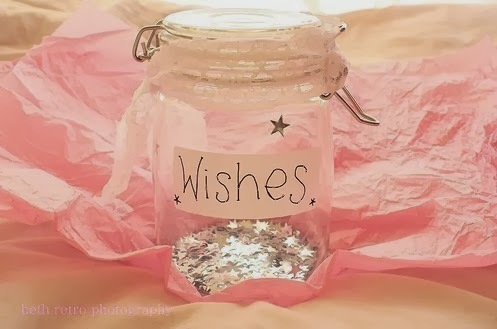 So heres to my little list of 5 with all items well on there way! 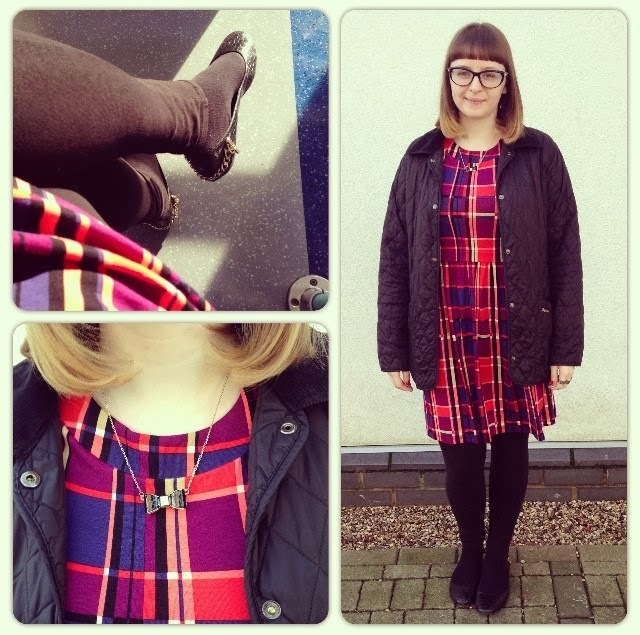 With some christmas money from my brother I decided to get this tartan dress from ASOS. In the picture on the website It looked a normal autumnal kind of palette which I thought would be perfect for this time of year so I made a quick purchase, when I got the dress through the hues are almost neon! Although this wasn't what I expected I love it so I thought 'a twist on a classic' was the most appropriate post for this little number. As most of the statement comes from the dress itself I've just accessories mainly with black and gold hardware from my smart miniature bow-tie necklace and chain backed ballet pumps. The only issue I have with this dress is I'm not exactly the tallest person in the world and I thought the length would be a good 4inches shorter than it is so I feel it makes me look shorter, so I'm thinking of taking it up.. What do we think? So this 'greek' (which I use as a very loose term) inspired outfit was the look of choice for this saturdays antics out in east london drinking milkshakes and doing a macaron making class with my boyfriend! Originally for this post I was going to tone down the monochorome print a little more with some darker leggings but decided to go all out on my beloved dogtooth ones at last minute, so this look is quite out there! 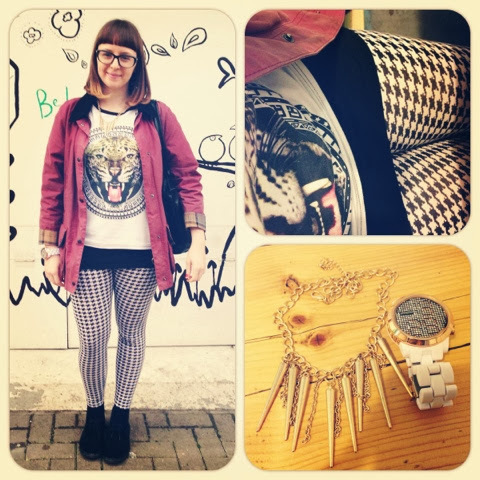 This outfit is mainly monochrome based with black dotted around to layer up and tone down the print slightly with a big splash of colour from my barbour, tiger print on my t-shirt and gold accessories. I really like this t-shirt but I don't really wear it as often as I'd like because of the length (I bought the top in a 16 in the hope it would cover my lower half so no slip dress would be needed), and also because I think I'm so used to doing outfits where the details on the top half and darker on my lower but I love the top with these leggings and find it hard to make this a show stopper top without adding detail elsewhere so.. I'll have to do some further experimentation! 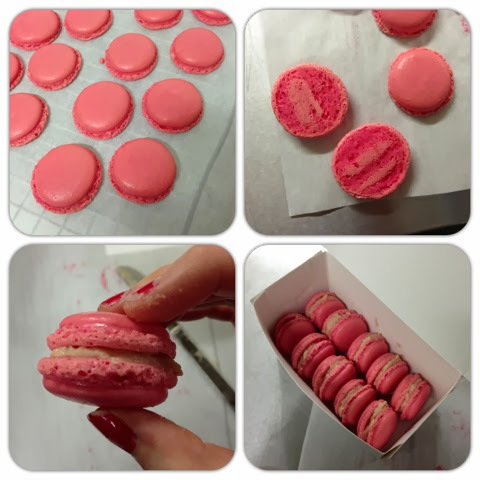 If you follow me on instagram you probably would've already seen this happening in real time but my macaron making class was a gleaming success (me and my boyfriend thought it could end in a massive fail), and now I have this swave baking chef like feeling.. although taking it to my own kitchen will be a different matter. 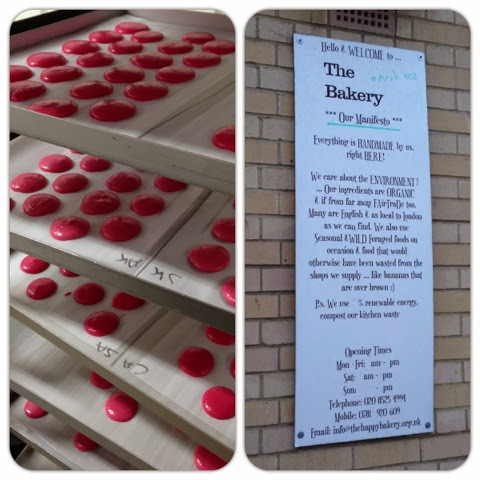 We made strawberry macaron's (the french kind) with a strawberry buttercream filling, in Haggerston, East London with Ganache Macaron who were amazing teachers and really nice so I would definitely recommend their class! Before a quick trip out to run a few errands -yawn- I managed to snap this preppy/punk inspired look showing off my new flatforms that I have been desperate to wear in since getting them for Christmas. Here I've mixed together a dark grey jumper dress with an oversized spotted monochrome shirt and added a spark of colour with another trusty tartan scarf, this time in green and my red Barbour. 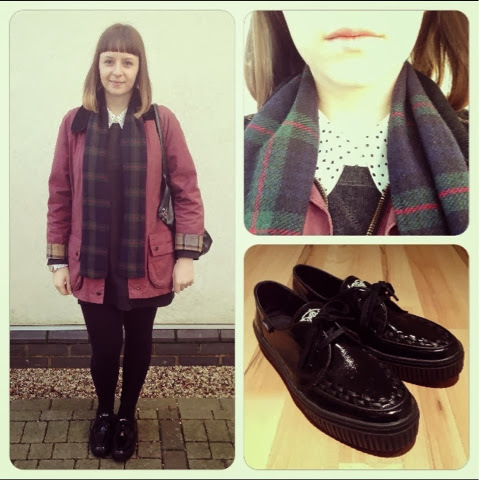 Then I threw on the teddy boy flatforms to add that punk edge. Layering is always a great way to combine patterns and colours and is one of the I only things I love winter over summer for. How do you layer up outfits? So it's back to the full swing of things after the Christmas break of 2013, and what better way to start than with a double fur inspired look to be sure you stay snugly in the coming months! 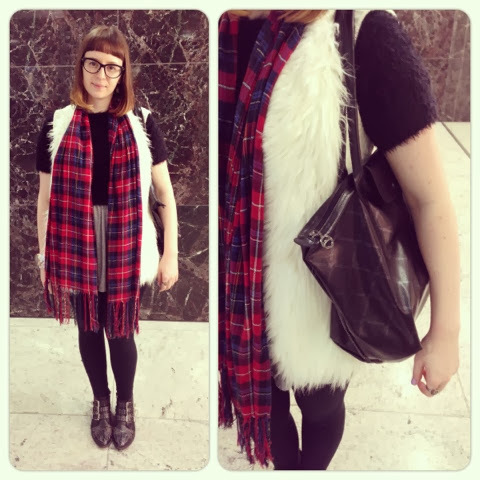 This was an outfit I wore last weekend to go off to the pictures with my boyfriend, I've teamed a grey jersey dress with a black fury crop jumper under my beloved white fur gillet, all tied together with a shot of red in my tartan scarf, alongside a metallic black bag and studded boots. For jewellery I continued the white and black theme with my phosphor watch (a Christmas present from this year), daisy chain bracelet, silver rings and a typewriter style ring! Hope you had a good Christmas! More posts to come! As winters predicted to come into full swing soon I feel its time for something a little bright and spring inspired to get a little more upbeat! 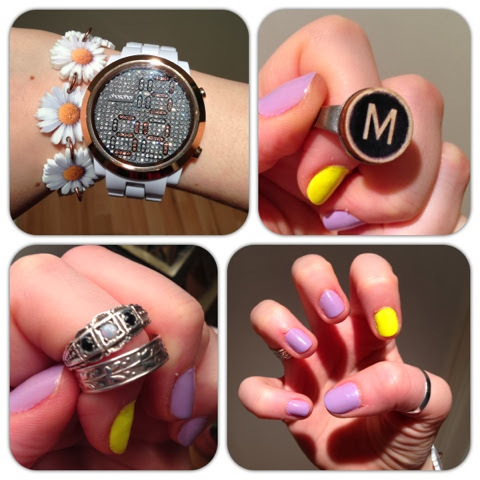 With the purple offsetting the pop of the neon yellow plus the add scent from the purple polish, this mani is perfect for the winter blues. 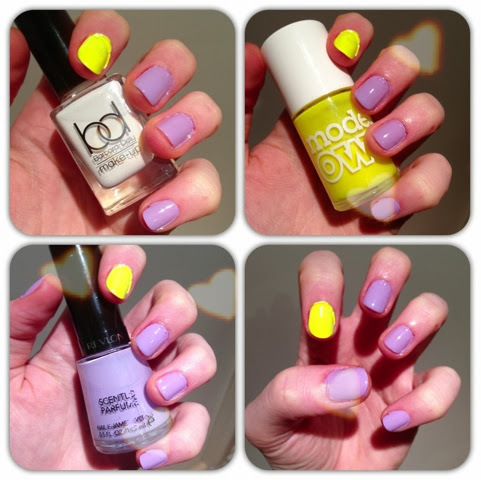 I've simply popped two coats of white on my index finger to then make the next two coats of neon yellow polish pop then added two coats of purple to the rest nails to finish off the look with a sweet scent of sugared almonds! So simple and so fresh!